Good but whenever i press share on an item (the box with an arrow) it doesnt show up. Please add split view (to all of your chat and video apps) and i cant send videos! :( thats all. *Half the time I open a text, the keyboard pops up but the rest of the screen is blank. I have to close and reopen to correct. *Picture messages often do not send, with no indication that they didn’t send. I have to ask contacts if they received picture. *I have a few missed calls with no notification (don’t notice until I open the app again) per week. But it’s usually spam messages, so maybe a blessing in disguise... *Have to add contacts from the computer, seems like there should be an option to add in app *and the reason I decided to finally leave a review - I’m trying to make a call thru the app to a (248) area code, and when the iPhone prompt pops up it says (678) area code !!! GIFs work now! That's a huge improvement. Google Voice still isn't on the list of iOS sharing options, but that's Apple's issue, not Google's. 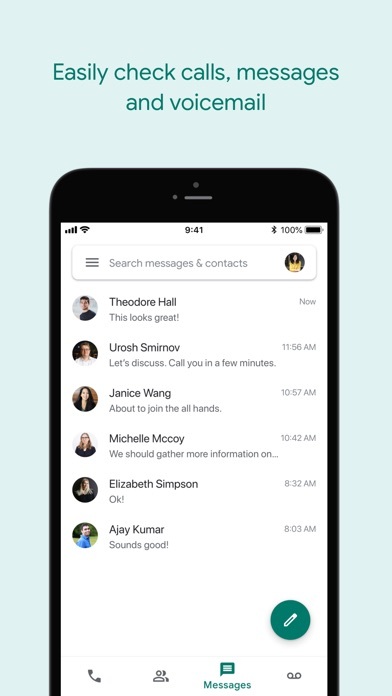 iOS address book integration remains weak despite having been better in the past. Google Voice has been on an upward trajectory. Let's hope Google maintains this trend. Google is yet to implement CallKit into the Google Voice app. 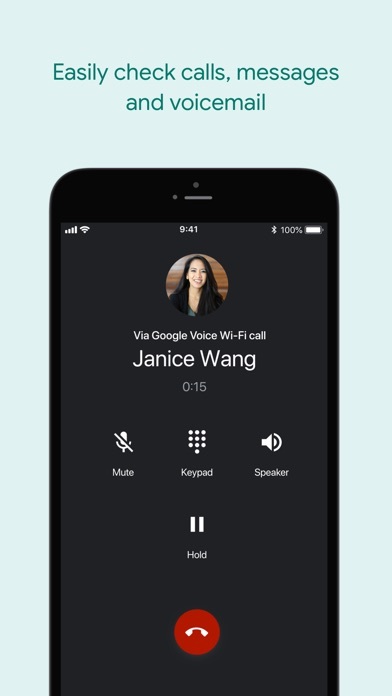 Receiving another call means getting cut off from your Google Voice session (if you use VoIP for calling). 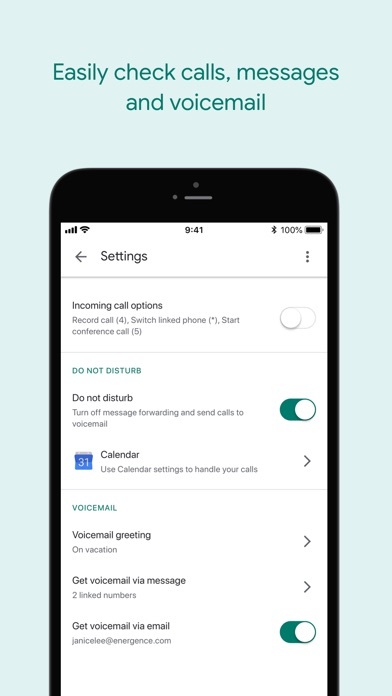 The call will even drop when the phone screen goes to sleep (such as when using headphones or speaker). Overall, Google has done a very weak job of improving the voice app for iOS over a very long period of time. This app is so slow and glitchy! I have deleted and reinstalled a couple times, am up to date, but no improvement. 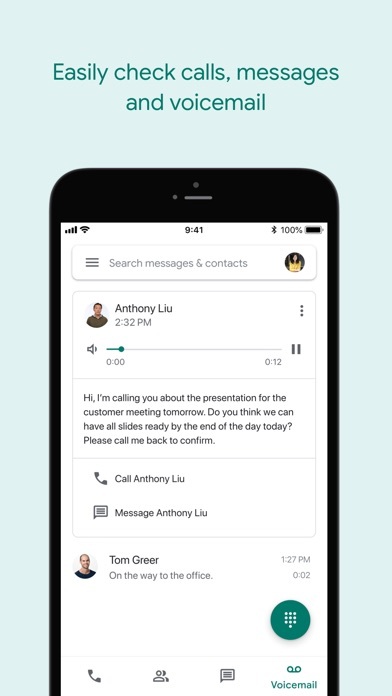 Most of the time I get a voicemail it doesn’t show up in google voice but in my personal mailbox, it is so slow to type and just feels overall janky. Doesn’t even open!! What is going on!! I use this phone as a secondary number to my primary. I receive texts on this number. I would like to mass delete this text. However, Google Voice simply does not provide that. How difficult could it be to implement a mass delete? Every other SMS app allows you to select multiple conversations and delete them. Also, the names of my iPhone contacts do not sync over to Google Voice. 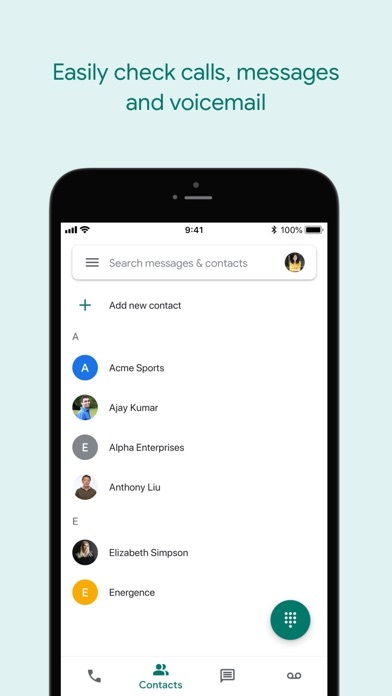 At first, all my iPhone contacts will be synced with Google Voice. But it won't sync to Google Voice when I change one of my iPhone's contact's details. Whether it be someone's number, their name, or any other details about them on my iPhone contacts. The worst part about it is that it has been this way for years. Incredibly annoying to have to enter into every conversation, click the three dots and then click "Delete conversation". Please implement this. SUMMARY: Service is good, app is not. 1. I can't send contacts with others. 2. New app doesn't let me sent text from previous conversation. It used to in previous version. Seems like a bug. 3. App is extremely slow on iPhone SE. I just got a group message from a spammer offering sexual services. There needs to be a way to report and block these people. This seems like a massive flaw not to have this option. Otherwise the app is ok.